Sticking to my computers to meet deadlines and finish cumbersome tasks, I know firsthand what sitting at a desk for a long time does to your health. If you do not pay attention to ergonomics and the right tools, chances are that you will be slouching during the day – experiencing discomfort and back or neck strains in the end. The Adrenalease Posture Shirt was introduced recently to prevent people, whatever their work, from adding stress to their spine and back. 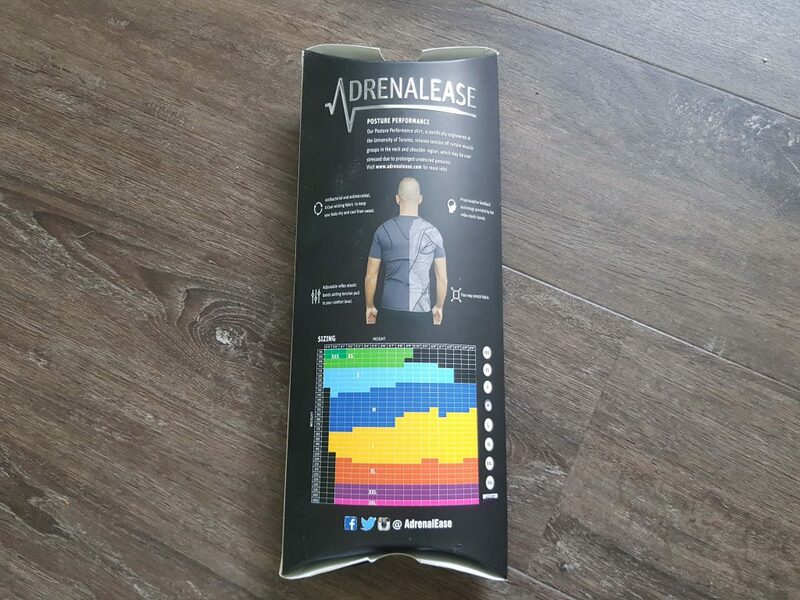 It is not for no reason that the team behind the Adrenalease shirt sums up the negative consequences of incorrect posture: negative mood, poor circulation, breathing problems, loss of motivation and fatigue – not to mention decreasing work productivity and energy levels. Of course there are many solutions for avoiding posture problems, but many of them require a huge investment (like a standing desk) or are too complex to get used to. Others, like the Spino, do not look particularly. The Adrenalease Posture Shirt combats all these challenges by introducing a simple solution: a shirt that can improve your posture by simply wearing it. The Adrenalease shirt was scientifically engineered at the University of Toronto to relieve the tension of certain muscle groups in the neck and shoulder region according to the inventors. Simply wearing the shirt can decrease the stress on these muscles and discourage users from sitting in undesirable postures for prolonged periods. In addition, the shirt is made from antibacterial and antimicrobial fabric. The people behind the Adrenalease shirt sent a shirt over to test during my work. 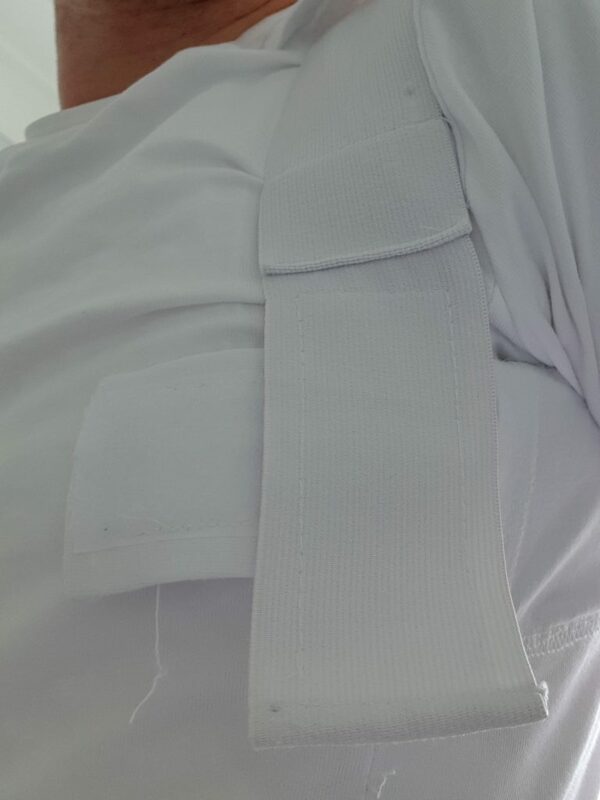 A first glance shows that the idea is quite simple: the shirt (which is made from a nice soft fabric) contains a reinforced section in the upper back, which contains velcro strips. 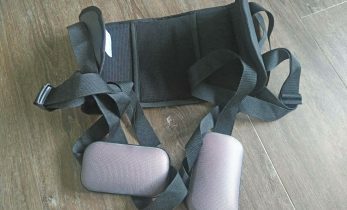 These strips can be put over the shoulders and under the arms; afterwards they are connected to the user’s torso. The size, comfort and level of posture correction can be set by adjusting these velcro straps. The elastic bands provide proprioperceptive feedback during use, while the four-way stretch fabric prevents the shirt from not sitting comfortably on the wearer. It seems simple and it is: people who want to improve their posture can put on the Adrenalease Posture Shirt in the morning, after which the shirt will do the biggest part of the posture correction during the day. Bending too much to the front is partially corrected by the shirt, while after a while some discomfort caused by the shirt results in almost automatic correction by the user. However, it seems there is a hurdle to be overcome while dressing. In my case, the velcro strips do not fit that neatly, so there is a need to fit crossbred. While that does not cause problems, it inherently makes the postures of sitting in the shirt somewhat more precise, which can lead to discomfort later on in the day. Furthermore, the shirt does not look particularly appealing with the velcro strips on the user’s torso. If you want to show up looking good you would be better to wear something over it, like a formal shirt or dress. That has its own disadvantages: if you want to adjust the straps, you need to undress in order to get access to the velcro. Another disadvantage is that the velcro inherently makes some noise when it comes undone as a result of stress or movement. 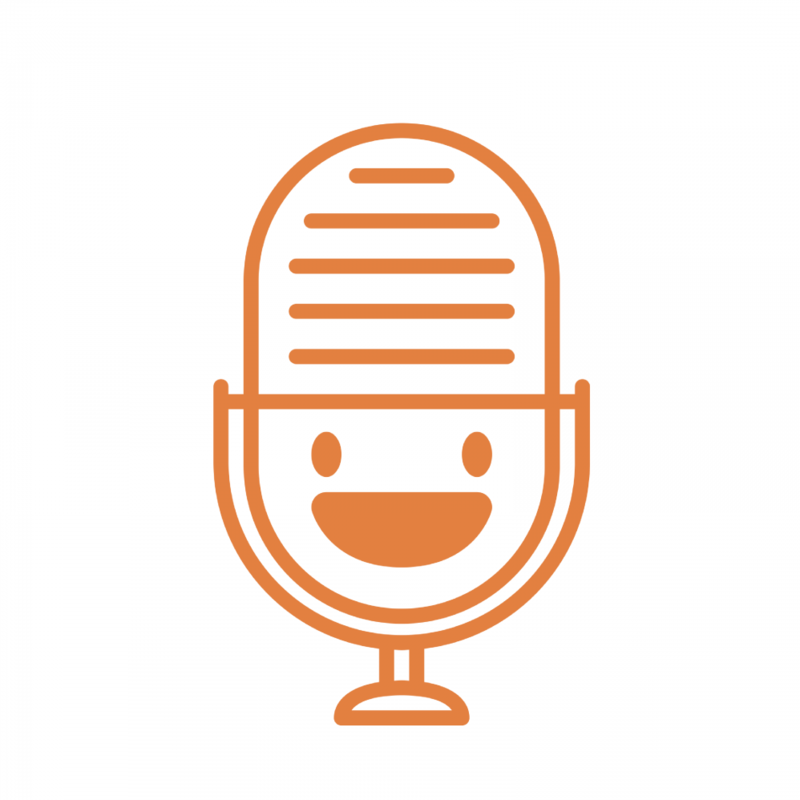 That can result in embarrassing sounds when you are meeting a client and find your discussions interrupted by the sound of velcro. Wearing the Adrenalease shirt for a time I also noticed that the ‘harness’ on the back and the straps on the shoulders and torso retained body heat over the day. During the testing period that was not a problem as the weather was chilly, but especially in warmer seasons and on hot summer days it may cause users to sweat much more, with all the discomfort of that. 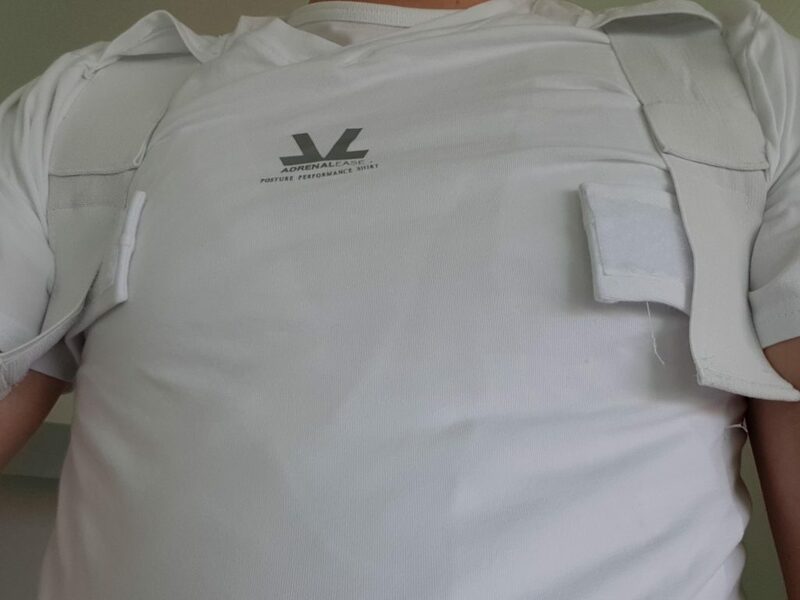 After having tested the Adrenalease Posture Shirt I can see that the idea is both innovative and comfortable, doing what it promises to do to some extent. The idea of a posture-correction shirt is great, but the elasticity of the shirt allows considerable flexibility if the user is to let the shirt do its work. This is especially the case when the velcro adjustment and the sound of velcro while moving are annoying, thus making the shirt only usable at home and not a real companion on business days outside the office (unless you wear a blazer that hides the velcro from sight). For people who want to improve their posture, the shirt can nevertheless be a welcome solution due to its ease of use. 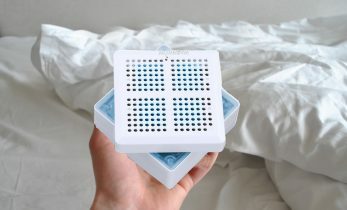 If you are considering it, I would suggest buying it at the Kickstarter website. 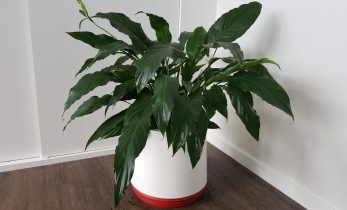 There you pay about 70 CAD, which is much cheaper than the recommended retail price of 100 CAD (at which price I would not recommend buying the product).